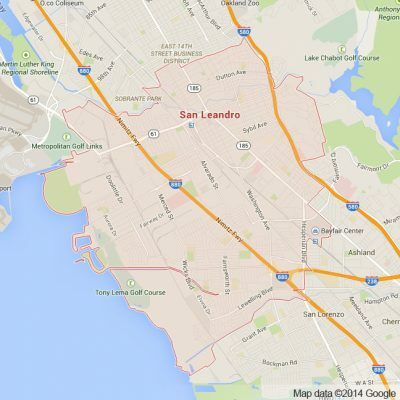 Apex Limousine Transportation is proud to offer limo services to residents and visitors of San Leandro. This waterfront East Bay Area city is located just south of Oakland and only a short distance from San Francisco. It is a classic East Bay destination boasting a wide range of beautiful natural destinations and a bustling cultural life. The San Leandro Marina is a must visit destination and perfectly compliments any sunny Bay Area afternoon. The picnic areas and trails make this recreation area perfect for picnics or just a beautiful day outside. Lake Chabot Regional Park is a Bay Area wide destination that is popular for hiking, camping and fishing. With such close proximity to Oakland and San Francisco as well as a quaint and interesting downtown strip itself, San Leandro expresses the best of what the Bay Area has to offer. Our limousine services are as wide reaching and diverse as the inhabitants of San Leandro. One of our more popular packages is our limousine wedding day services. Our fleet of limo vehicles can help provide excellent and luxurious transportation for weddings of all sizes. Whether the couple is getting married at one of the many beautiful locations in San Leandro or is just finishing the day there, we work directly with couples, families and wedding planners to ensure that every single step of the way compliments and enhances how special your wedding day should be. Another popular package we offer residents of San Leandro is our Napa Valley Wine Tour. We are very familiar and experienced in the Napa Valley. When booking a Napa Valley Wine Tour in one of our luxury SUVs, sedans or Limousines we work to customize your journey so that every wine you taste and restaurant you visit is exactly what you and your party desire. We know that there are many wineries to chose from and for this reason we take your expectations of the day into consideration and create an itinerary that we feel will surpass your expectations. There really is no better way to enjoy the beauty of the Napa Valley and it’s incredible wineries than in one of our limousine vehicles. We also offer limoservices for many other occasions that include but are not limited to: a night out in San Francisco, Oakland or Berkeley, Birthday Parties, 49er/Raider/Warrior/ Sharks games, Concerts, Junior Prom and Senior Ball. For those who need a pick up or drop off at any major Bay Area Airport (SJC, SFO or OAK) we guarantee promptness to ensure that you will never be left waiting or be late for a flight. Our airport sedan transportation services are a favorite among business people and tired travelers alike who want comfort during the stress of traveling to and from the airport. We promise that when working with us you are not just getting a ride or going from point a to point b. You are stepping into an experience you will never forget. The professionalism of our drivers all the way to the guarantee of relaxation in our vehicles will make the entire experience a memorable one you will want to relive again and again and again. So please no matter what the occasion give us a call and together we can create a memory one ride at a time. Please call us for car service all inclusive total for San Leandro to/from Napa Valley transfer.